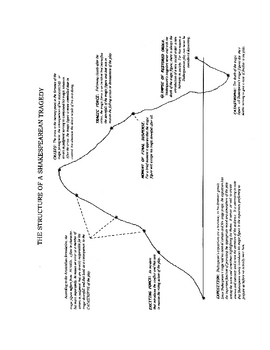 This package contains two graphs: one an overview of the structure of a Shakespearean tragedy; and the other a graph of King Lear. Also included is a glossary of dramatic terms as they apply to tragedy with examples from King Lear as well as other Shakespearean plays. Students can be given a number of these dramatic terms and, in assigned groups, make their own graphs by applying these terms to King Lear. 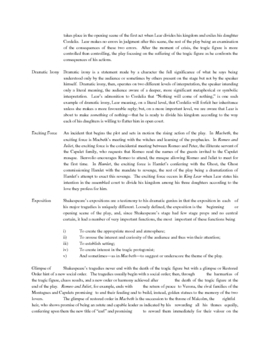 The exercise is intended to give students a deeper understanding of the structure of Shakespearean tragedy and a greater appreciation of how Shakespeare utilizes these components in the structuring of King Lear. I hope that students find the activity a worthwhile exercise. 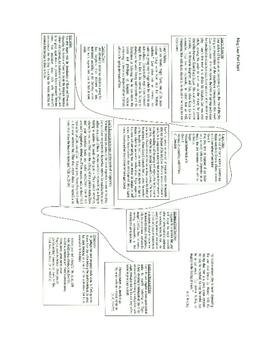 This package is part of my commentary on King Lear (141 pages, 50,300 words). 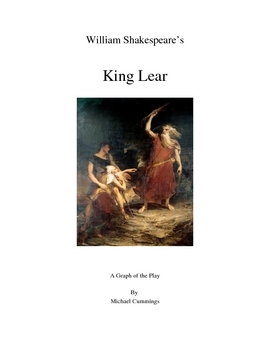 Tks, M. CummingsKing Lear: A Graph of the Play by Michael Cummings is licensed under a Creative Commons Attribution 3.0 Unported License.